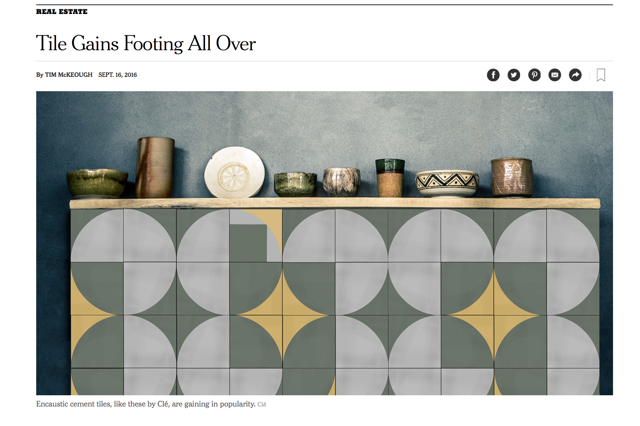 Tim McKeough, who includes tiles by clé in his piece for The New York Times titled “Tile Gains Footing All Over,” writes, “If you’ve been keeping an eye on the ground beneath your feet, you may have noticed an explosion of pattern. 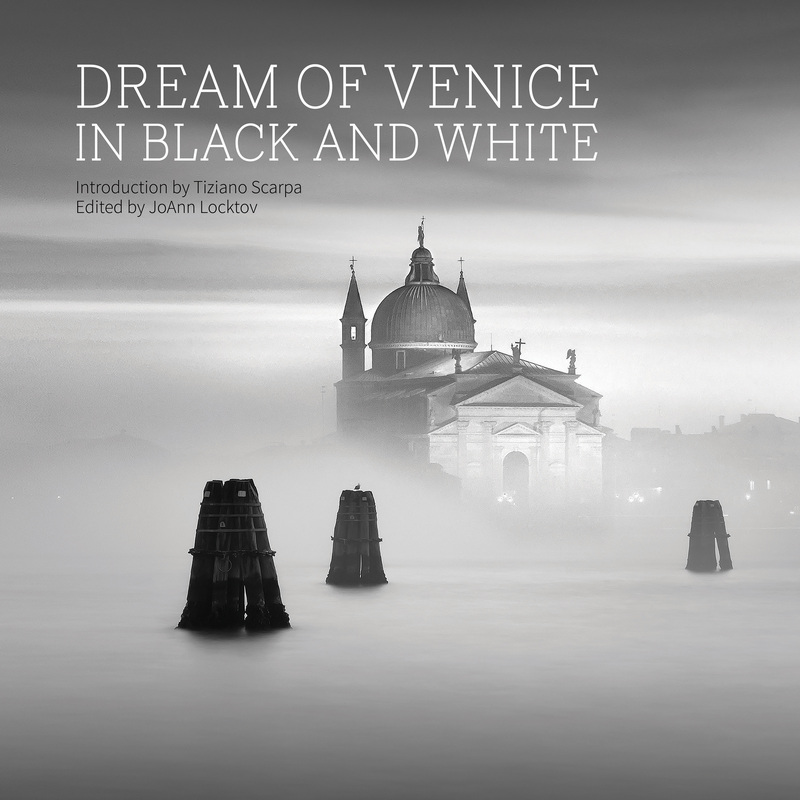 It can be seen in public spaces like the Manhattan restaurant L’Amico, designed by Crème; and the Hotel Van Zandt in Austin, Tex., designed by Mark Zeff. 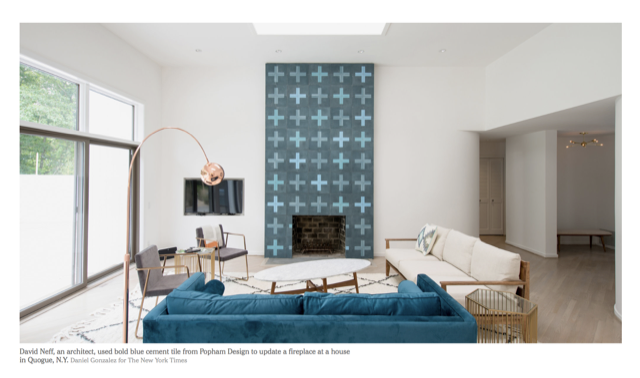 And in private spaces, too, like the New York apartment of the actors Naomi Watts and Liev Schreiber, designed by Ashe & Leandro and featured earlier this year in Architectural Digest. 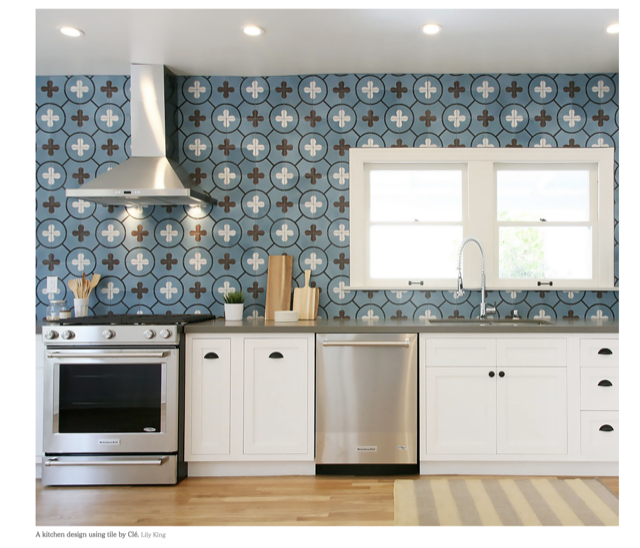 Quoting clé’s founder, McKeough notes, “Cement tile is a very different product from ceramic tile, said Deborah Osburn, who founded Clé in Sausalito, Calif., four years ago, and sells the tile for about $10 to $30 a square foot. It’s made in a different way, and has to be handled in a different way — a point that contractors who haven’t encountered it before may not understand. 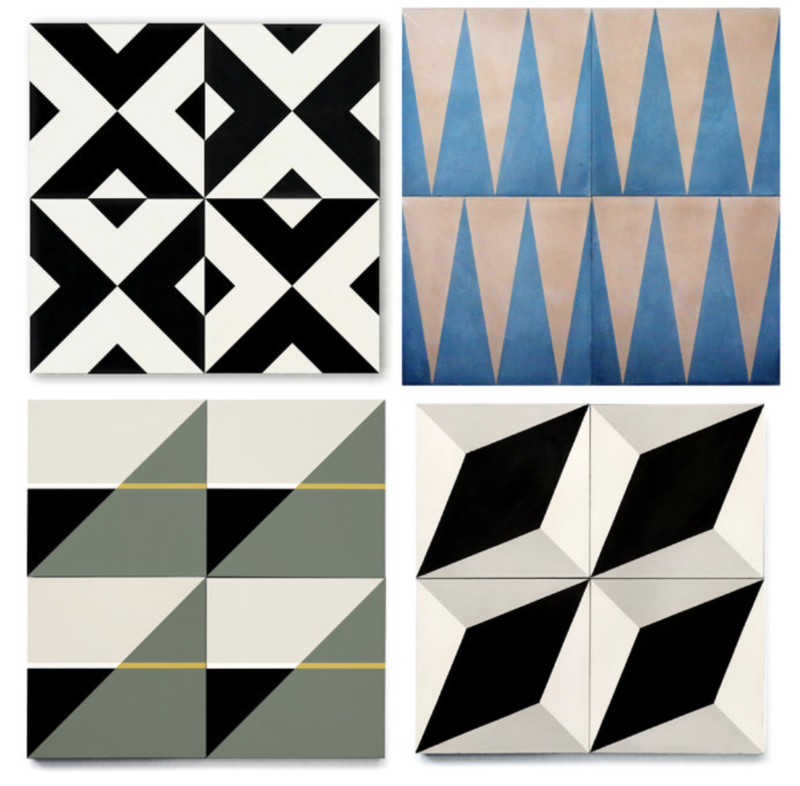 Products from the Artist Cement Collection that were featured include Erica Tanov, Gachot Studios and Smink.